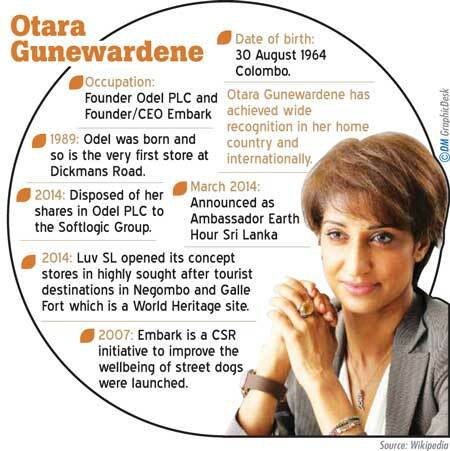 When we hear of ODEL, Otara Gunewardene comes to mind. Since its inception, Otara and ODEL had always remained synonymous and inseparable in every way. A business which started from the boot of her car, became one of Sri Lanka’s leading fashion brands while gaining recognition internationally. Starting out small, being passionate and making a difference has been her mantra for success. She is an example and a role model to any woman (or man!) who aspires to make her dreams a reality. As the daughter of Norman Gunawardene and Delysia Gunawardene, Otara hails from a dynamic and strong business background. Her compassion and love for animals was clearly demonstrated since childhood; nurturing an endless number of squirrels, rabbits, dogs and other animals from a very young age. Seven years ago, her passion to make a difference in the lives of animals led her to establish ‘Embark’ that works towards the welfare of street dogs in Sri Lanka. QCan you tell us a bit about your childhood? Well, I have good memories of my childhood. I was a quite a free spirit, didn’t study much, and I spent a lot of time with animals, helping those that were injured. I also had a lot of animals at home. I also liked athletics, swimming, and ballet. Even then, I seemed to be dedicated fully to the things I liked to do and the goals I wanted to achieve. I also learnt that the one thing; I didn’t like was piano lessons! QWho or what inspired you to pursue fashion after a biology degree from the University of Bowling Green? I wanted to study for a biology degree because my dream was to live in the jungles protecting wildlife. Fashion was just by chance; I was offered a place as a model on the catwalk. The interest in fashion came from there. QWere there any other ambitions? I had one ambition, one dream. And that was to help animals and make sure they didn’t suffer because of us. That is the same dream I have today so not a lot has changed. Q When you decided to enter the field of fashion, were you supported by your family? Again, it was something which I enjoyed doing, so everybody was happy to support me. My father always wanted me to do something in business, and actually he’s the one who coined the name ODEL, a combination of my two names. Q Did your family background help you in social work? I think so; I grew up while understanding the meaning and need of giving back. My mother started a school for special children when I was around two. She started with two children and the school has grown to one that helps thousands of children with special learning needs. She still has the school today and is actively involved in it at 80. Q You’re a fashion icon, a business magnate and a fashion retailer. What were the obstacles and challenges you faced as a woman in the fashion field? I never thought of myself as a woman in business, or a woman trying to develop a business. I was just an individual trying to grow a business; even if there was gender prejudice I never saw it because I was determined to achieve the goals I had set. It is time for women to be strong and not accept gender-based discrimination. Q Didn’t you encounter threats when you were climbing up the ladder? Difficulties, yes. But, everyone was so supportive and encouraging, the challenges, obstacles and issues I faced were nothing different to that experienced by anyone else in business. Q Nowadays people try easy ways to earn money and don’t believe in hard work. What do you think? Well, there’s no easy way. I worked really hard and continue to do so. Nothing is served on a platter, unless you’re born into one. For me it was never about the money. I never started the business just thinking about earning money for myself. For me it was always about ‘how do I grow the business more?’ and ‘how do I open more shops’, how can I continue to make a difference etc. Q What were the business strategies you used to make ODEL a success? Q You started a project saving wild animals What do you think of the human-elephant conflict? Q Why do some people hunt wild animals? Again, it’s all money-related. There are rules and laws, but they are not implemented effectively. There are a lot of laws which need to be introduced. There are also some wildlife laws that are poorly implemented. A lot of elephant deaths are due to hunting. Elephants also fall victim to ‘hakkapatas’ used to kill wild boar and other animals. l hope these situations can be changed if people follow the rules and laws. Q Many Sri Lankan women get harassed in the Middle East; what do you think is the reason for it? If they can have better training before they go, they will have better opportunities. They even need not go abroad to work as housemaids. Of course, there is no excuse for harassing women, anywhere in the world or whatever job they are doing. Q So there might be opportunities for self-employment here as well, if they get some proper training? Yes that as well. I am sure if any woman is given the option of staying in her country with her family for the same salary she would get as a maid elsewhere, I think we all know what the choice would be. 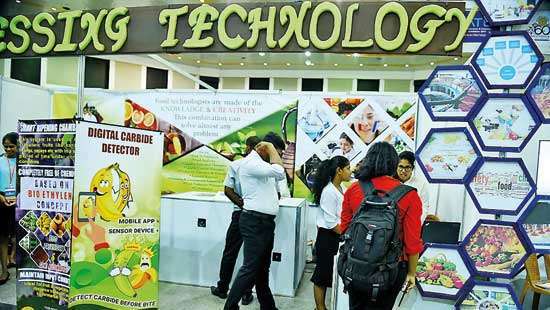 Q Do you think women in Sri Lanka get due recognition through organisations? They talk about gender equality, but is it just limited to shouting slogans on Women’s Day? I’m sure they must be contributing and doing their part to make a difference.Each one has his/her limitations and it is not always easy to stay outside the government and make big changes. In Sri Lanka, we had the first female prime minister and then a president. Women are also among business leaders so we know opportunities are there for women. I don’t think we have done too badly in that sense. QSo it’s up to our women to grab the opportunity? Yes, but then they need the support as well. I also think there should be more support and training for men who travel overseas for employment. 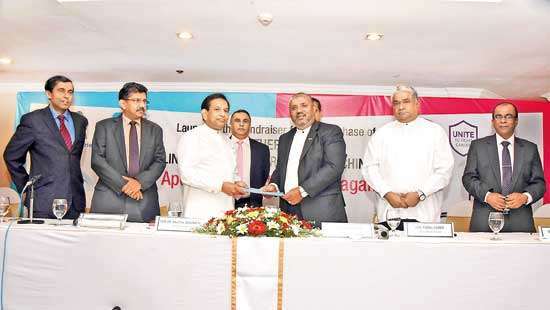 It will transform people’s lives and help them to get better opportunities both in Sri Lanka and overseas. People will then have a choice to either be here or get higher positions overseas. QWhat do you suggest to prevent women being harassed in Sri Lanka? There have also been several murders of children. There’s so much awareness at the ground level; voicing out, how you should act and how you shouldn’t act. Women are speaking up about the harassment they face on a daily basis. People just need to get stronger, and know that there comes a point when you know when to stop accepting it. More areas need to be strengthened so that support can be given to women; for example in police stations, legal advice which they can afford etc. QBut they don’t seem to be interested. Even to accept a complaint, they take ages and give excuses. That has to change at some point. It is the same with animal welfare that has to change for a country to be compassionate. Women should have confidence to complain against something which is wrong. 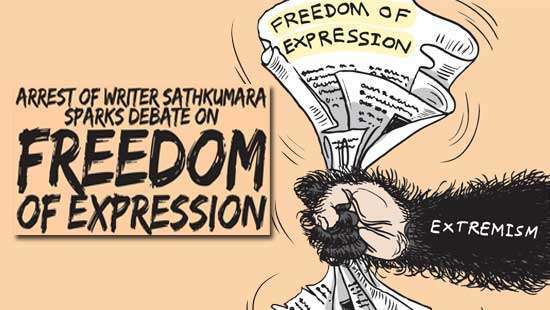 Q What is your message to Sri Lankan women, and Sri Lanka as a country? QA little bit about starting Embark ? Embark started, eight years ago. The street dog has been around for years and all of a sudden with development they became unwanted. I really wanted to give them a place in our country. We should be proud of them. I too had many pedigree dogs but it was only after I adopted Niko that I realised how much dogs have to offer and how unique they are. Q There’s a story behind finding Niko, isn’t there? I picked it off the road when I first started Embark. Originally, I wanted to give him away, because we had two Dalmatians at the time. But Niko stayed, and it not only changed his life, but changed ours as well. Niko was later joined by Bandit and Rosy. QFinally , Otara, going back to 25 years what are your recollections? I have no regrets, I loved every minute of it even though some parts have been difficult.There’s no joy without challenges!